Diets were never my forte. I love food – tasty food and that, sometimes, means very unhealthy food. I always ask myself why does fast food taste so nice. So to find recipe books that meet my expectations is pretty hard and at some point I thought it would be impossible. Then, I found Joe Wicks on YouTube as well as his books and I purchased the three of them. These books are different than any other fitness-healthy-dieting books you might find. 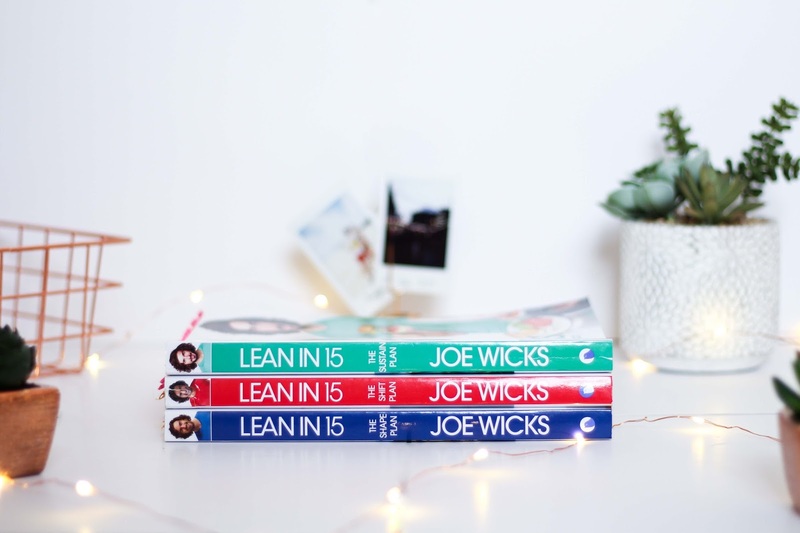 Joe Wicks has built these books in a very wise and helpful way. He believes that a balanced diet doesn’t mean ditching all the carbs but to add carbs at the right times and thank god for that because I love my pasta and couldn’t live without it. So he basically divides the books in low-carbs meals that are ideal for no-workout kind of days and the high-carbs meals that you can include in days that you workout and you can either eat them before or after the workout. They are all tasty!! Honestly, they are deliciou and some of them include double cream. I know, right?! Who would have thought? Let me tell you: if you follow his advise strictly following the recipes and doing your cardio and HITT workouts (that you can either do at the gym or use Joe Wicks videos that are amazing and very helpful! ), you will see some incredible changes in your body and the best thing is that the food is great and you never feel like you are dieting because you aren’t. It is all about balance. So because I love the recipes so much, I thought it would be ideal to share some of my favourite from the three Lean in 15 books. Starting with the first book I had from this collection, the Lean in 15 – The Shift Plan this is definitely my favourite of all. I find that I reach for it a lot more than the others. 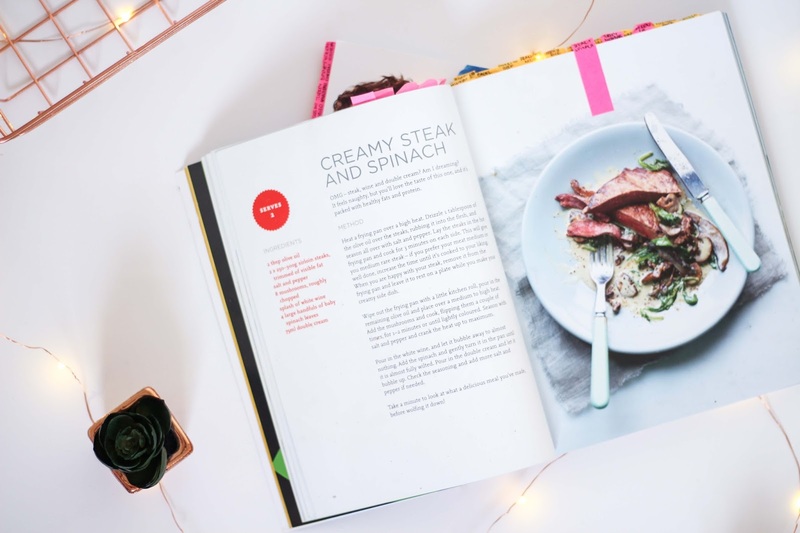 Some of my top recipes from this book include the creamy steak and spinach (p. 66) and the super speedy beef strogonoff (p. 41) as pre-workout meals. The turkey meatballs and pasta (p. 140) and spinach and turkey canneloni (p. 164) are my two absolute favourites as post workout meals. Not only I adore them but also my fiancé his crazy for these delicious meals too. 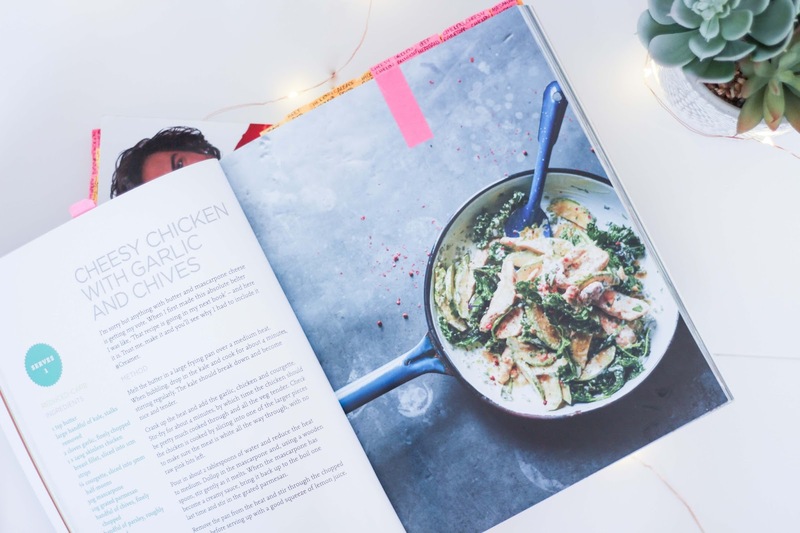 Now diving into the Lean in 15 – The Sustain Plan , the cheesy chicken with garlic and chives (p 56) is my favourite pre-workout meal. So creamy and delicious, there is no way you can go wrong with this. And if you are a cheese lover like me, you will love this even more. Trust me, you have to give it a go. 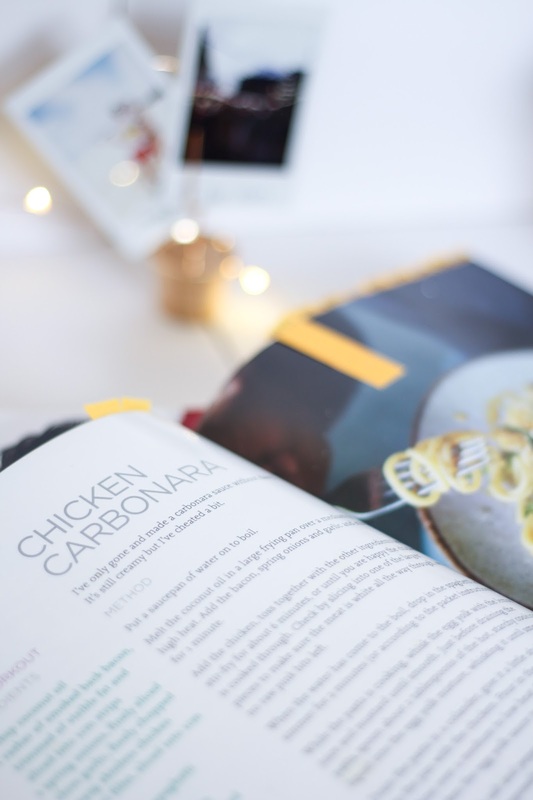 My other favourite has to be the chicken carbonara (p. 128). 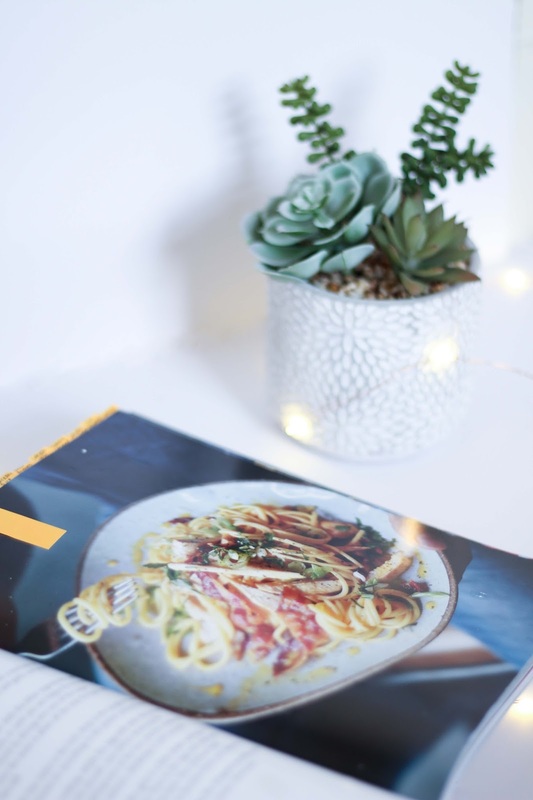 I will never love a carbonara as much as this one and yes, I have been to Rome, tried the original one and still prefer the Joe Wicks version. The sauce is divine, I love the taste of the mustard. It just adds a little something to it. I would never have mustard on it’s own or even on hot dogs but this is something else! And last but not least, the Lean in 15 – The Shape Plan. I love the popeye’s chicken (p. 74) as a pre workout meal. It is bloody delicious this chicken. It is so creamy, filling and looks so, so good! Every time I take it for lunch at work people ask me what it is and how to make it. Add some of your favourite vegetables and you have your meal sorted. Delicious and healthy. 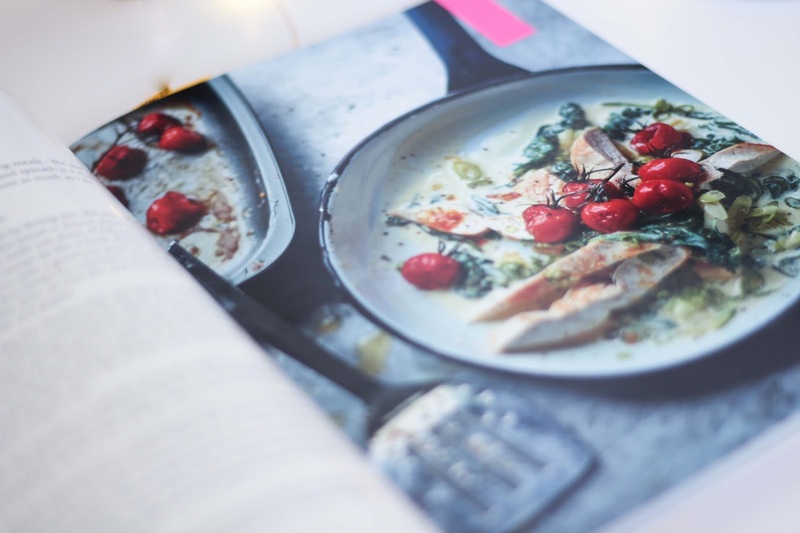 And because I have noticed that most of these meals include chicken, that I love, I chose a different recipe on this book as a post-workout meal – the prawn and chilli tagliatelle (p. 162). My fiancé doesn’t love seafood as much as me so I don’t do this one as often as I would like but it is so good. All these books are a total winner for me and even though I know you probably don’t need all three, for the price that they are selling for on Amazon I think that they are totally worth it. But if you ask me to pick just one, I would go for the Lean in 15 – The Shift Plan. I think that because it was the first one I had, I really had the chance to experiment with a lot of the recipes and found a lot of favourites. But trust me, if you buy all three you won’t regret. And for you guys that have any of these, which ones are your favourite recipes? Let me know in the comments below!